Suite at the Soniat House, a historic French Quarter hotel. The classic Hotel Monteleone in the French Quarter. 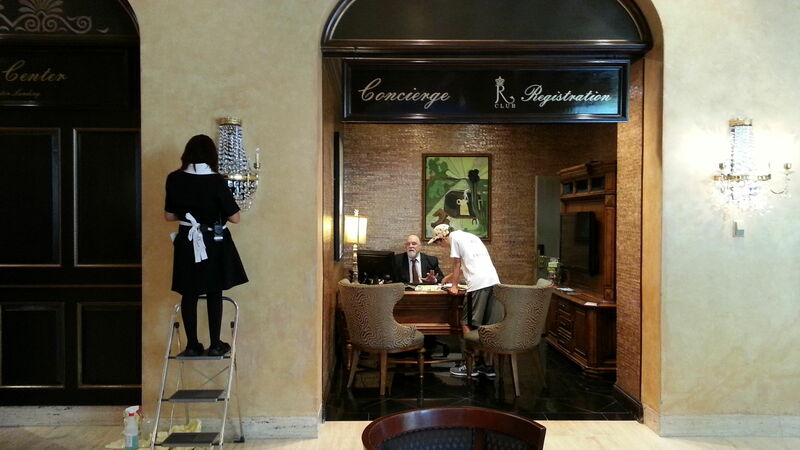 Lobby of the Omni Royal Orleans has the classic look of New Orleans' golden age. Keeping the New Orleans Sonesta Hotel tidy for visitors. Whether you’re visiting New Orleans because you’re about to embark on a cruise, or taking a south coast beach trip, or staying for a long weekend of jazz and great eats with your kids, you’ll want a family-friendly hotel where you can feel safe, pampered and, most importantly, where you can appreciate the local culture. And if there’s any doubt that this is a great city for families, check out our guide to New Orleans’ top family-friendly attractions for all ages. New Orleans’s 19th century French Quarter, the walkable central tourist district along the Mississippi waterfront, has an ornate architectural style, funky shops, and narrow, crowded lanes that will delight kids of all ages. We love it because the best of the city is within easy reach: Antoine’s, Arnaud’s and many other classic and expensive restaurants are here, as is Kingfish and a host of casual eateries from young chefs. We hate it because the drunken debauchery along Bourbon Street can spill over to the surrounding streets. That’s why we’ve selected some of our favorite French Quarter hotels to bring the kids – favorites because they’re in the heart of it all without being noisy or too party-oriented. As you float along in their rooftop pool, you can tell by the film noir-style rooftop sign that the Hotel Monteleone has been around a long time, and it claims to be the first in the French Quarter. In addition to its great location between Bourbon Street and the Mississippi River, this landmark hotel has friendly service, newly refurbished rooms that are small and cozy with fancy marble and granite bathrooms, and many family perks. 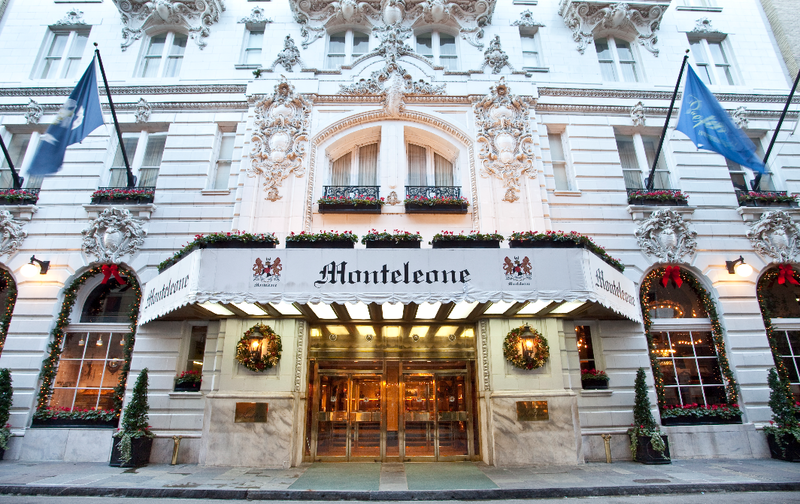 As part of the Preferred Family hotels, the Monteleone has been certified for parents traveling with kids of any age. There’s babysitting available on request, connecting rooms, and even wheelchair and stroller access throughout the fun, up-and-down hallways (just watch the video). Families with infants may request a minifridge, crib, portable play pen, highchair, booster, or bottle warmer for the room. DVD players, a lending library of books and kids menus at Criollo (their popular Cajun place features seafood gumbo) are available; roll-aways can be added to the room if you have older kids who don’t want to share, too. Even if you’re not a guest, stop by for a whirling drink at the legendary Carousel Bar. Watch for great family packages during the summer low season and big fanfare at the holidays. If you like that Old World French Quarter style, the posh Omni Royal Orleans is a good option for families, who are catered to by the brand’s kid-welcoming backpack filled with treats, milk n’cookies at turndown, and a loaner closet of toys, books and games. Built on the site of one of the most elegant hotels of its day — the Creole-owned Hotel Saint Louis which ruled the city’s social life from 1843 to 1915 (and also invented both gumbo and the cocktail) – the larger and equally grand Royal Orleans Hotel opened in 1960. It has since welcomed celebrities ranging from Muhammad Ali to Mick Jagger to Richard Nixon. There are 345 recently renovated luxury guest rooms and suites, all non-smoking, some with wonderful wrought iron balconies. The 7th story rooftop observation deck and pool are great for relaxation and/or aerial reconnaissance of your next sightseeing stop. The noted Rib Room, a grill restaurant with a Sunday Jazz brunch featuring Sugar Bear and Jazz Cats, is a treat for all ages. Overall, we found the service friendly and appreciated the helpful concierge who steered us to French Quarter Phantoms for a fun, sunset ghost tour. Pets are welcome. The inner garden courtyard which adds so much charm to the Maison Dupuy is also a very popular wedding venue, one that rang out with live music during our recent stay. But, it does have an outdoor pool (often closed for these events) and good value rates for a French Quarter hotel. Rates will remain low during their renovation, currently in progress and expected to last at least a year. Ask about their parlor and junior suites, where teens can have their own sofabed while you get some rest. Restored and upgraded with the latest comforts, this authentic boutique hotel blossomed within the elegant bones of three ca. 1829 city homes belonging to French sugar plantation owner Joseph Soniat Duffossat and his family. Guests age 10 and above are welcome to enjoy the peaceful inner courtyard and meet hosts Rodney and Frances Smith, who supervise the pampering hospitality that’s made them a Small Luxury Hotel partner. 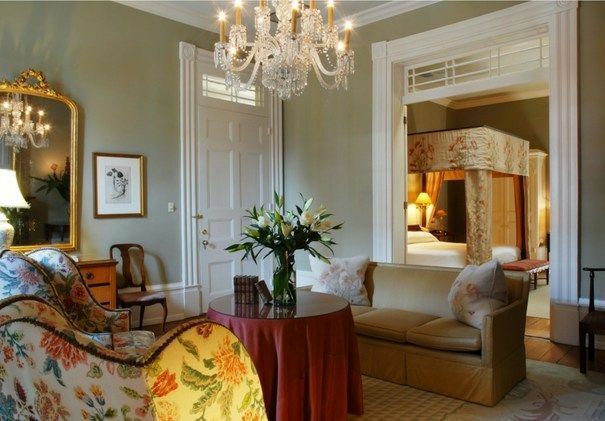 Fresh biscuits are served at breakfast, in your room or in the garden, and there’s an honor bar in the sitting room. The 31 spacious rooms are packed with art and one-of-a-kind French and English furnishings sold in the Smiths’ adjacent antiques shop. Very romantic accommodations range from cozy singles to large suites; only a few rooms sleep 3. Ask about midweek specials. 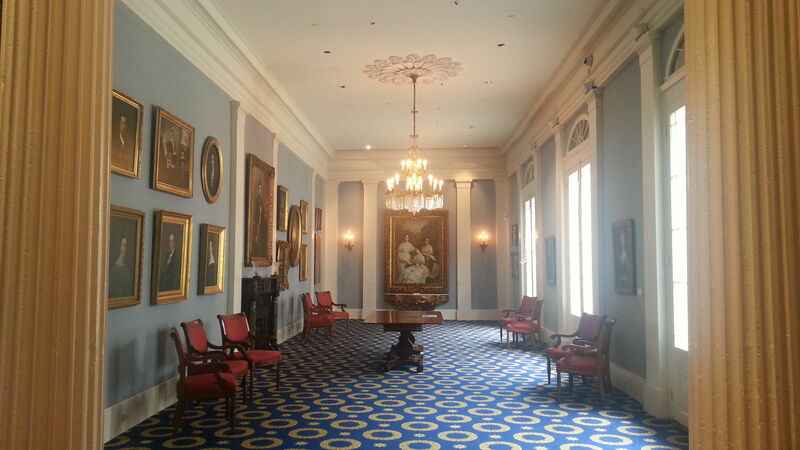 Here’s a video of hotel room tours from our July 2014 visit to New Orleans. Staying in the fashionably funky, urban Warehouse or Arts District is usually cheaper (if not as charming), and it’s a good base for sightseeing. This neighborhood boasts one of the city’s most famous restaurants, Emeril’s (flagship restaurant of chef Emeril Lagasse celebrating its 25th anniversary in 2015), plus more casual farm-to-table places like Cochon. It may not be easy finding a room when conventions or film crews are in town, but it’s worth checking out. Note that several of the chain hotels have seasonal family packages including breakfast and attraction tickets. We liked this 284-room Hilton Garden Inn where doubles have two large beds, a fridge, coffeemaker and free Internet access. The hotel has a spacious lobby with a bright lounge area and a quick restaurant –- not Southern stylish but comfortable and welcoming. Cribs and highchairs are available on request. Upstairs, you’ll find a self-serve laundry, small fitness center and rooftop pool. Nearby, the SpringHill Suites has more spacious accommodations. Studio suites with two queen beds and pullout sofa — plus a small but handy kitchenette with sink, fridge and microwave — start at less than $150 including a free breakfast and free WiFi. This moderately priced hotel has 187 convenient rooms within walking distance of the French Quarter, Riverwalk and the Aquarium, though admittedly in summer many might prefer a short taxi drive. The hotel does not charge for a daily hot breakfast, WiFi or local phone calls. Amenities include use of the state-of-the-art fitness facility, loaner cribs and highchairs, a small business center and a snack shop. They even have room service. Senior and military discounts available year round. This artsy all-suite hotel in the Arts District has 25 fully furnished apartment units that typically rent by the month. Prices depend on unit size, and when it’s not booked by visiting film crews — rarely — homey apartments are sometimes available for shorter stay guests. Expect fully furnished stylish apartments with full kitchens, privacy, and access to a helpful, local staff.